Davidson Hall is an exciting 33 lot development located off Pine Road created by TSG Commercial in partnership with Faison. Just a short walk to the greenway, Davidson College, and the historic district, this 33 lot neighborhood features all the charm of Davidson in the perfect location. TSG Residential is proud to represent Saussy Burbank’s 17 new homes in Davidson Hall. 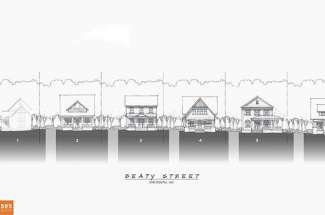 TSG Commercial developed eight lots in this prime location on Beaty and Delburg Streets in Davidson, and partnered with Saussy Burbank and JCB Urban to create 8 new homes. 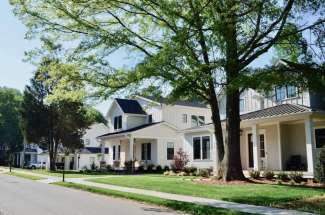 Immediately accessible to downtown Davidson, Ingersoll Rand, and much more, these unique home sites feature large lots, sidewalks, and all the charm of old town Davidson. 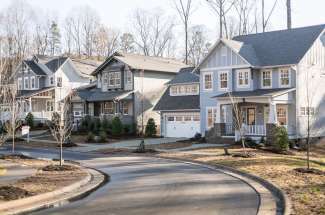 A truly exciting infill location with all the charm of Davidson and the convenience of easy access to I-77, Catawba Avenue by Copper Builders features new construction homes on large lots. Easy walk to restaurants, shops, farmers market, and area schools. Saussy Burbank is a developer and new home builder in three premier markets in the Carolinas. Since 1989, the company has built more than 7000 new homes and townhomes earning regional and national awards, including four Best of American Living® awards. The company’s innovative approach to design combines modern, open floorplans with an architectural style that reflects the history and character of our region. 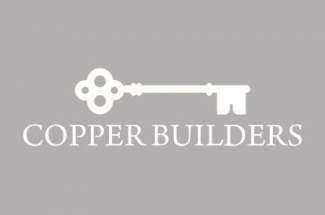 Charlotte, NC based Copper Builders has an extensive track record of building quality homes in great locations that has created a long list of Raving Fans. Our attention has always been on the customers we serve, the people who have entrusted us with the most important investment of their lives. We enjoy a strong reputation for integrity and following through with promises to our home buyers, both during construction and after completion. Stowe’s Corner is a 23,000 SF infill development in the heart of Davidson. Delivered in 2009, the building is home to multiple local businesses and the restaurant that started Davidson’s culinary renaissance, Flatiron Kitchen + Taphouse. Built on the site of Stowe’s Exxon and controversial at the time, the building is now considered a contributing structure and landmark in downtown Davidson and an example of what good design, attention to detail, and citizen input can produce. TSG Partners operates Stowe’s Corner and owns and leases several of the condominium units. Davidson Commons is a vibrant, popular, grocery-anchored retail center redeveloped on the site of a 16 acre contaminated industrial site. 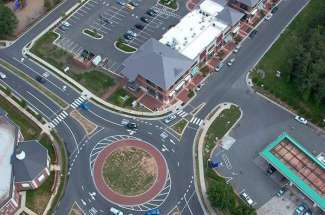 The project was the catalyst for major infrastructure improvements on Griffith Street and the result of collaboration with the Town of Davidson, NC DENR, NC DOT, Harris Teeter, and Community School of Davidson. The development incorporates retail, residential, institutional, and office uses on a brownfields site and brought a full-service grocery store to Davidson recapturing a significant amount of Davidson residents’ weekly spending that had been lost to neighboring towns. 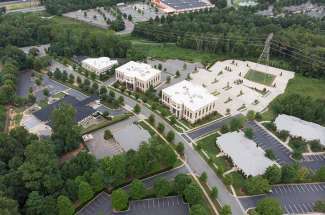 TSG assembled equity and debt to acquire three office buildings in Huntersville’s Northcross Business Park. The combination of medical office, general office, and flex properties allows investors to hold diverse real estate assets within a single SPE and mitigate some of the risks normally associated with real estate investing. The buildings are recently constructed, well-maintained, and positioned to generate annual cash flow for a medium to long-term hold. TSG is invested in the project alongside the limited partners and manages both the partnership and the properties to maximize tenant retention and give the project the best chance for long-term success.